MELKBOOMSDRIFT GUESTHOUSE is situated in the heart of the Olifants River valley, between Vredendal and Lutzville, this working wine farm with a restored farmhouse, circa 1820, is an ideal stop-over between Cape Town and Namibia on the N7, with the West Coast 20 minutes away for whale spotting. 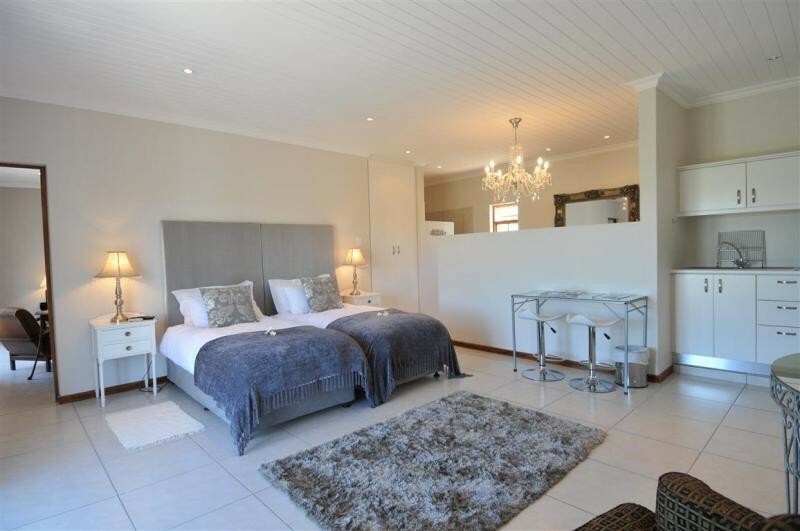 Quaint rooms have private entrances and bar fridges. 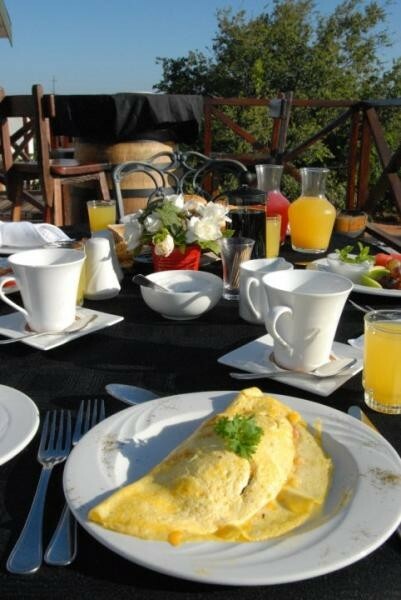 Delicious farm breakfasts, with dinner and picnic baskets on request. 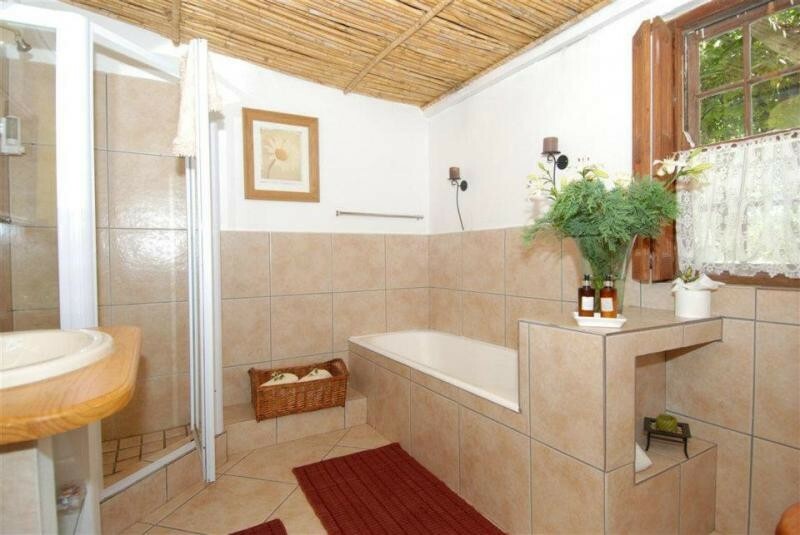 Self-catering option. 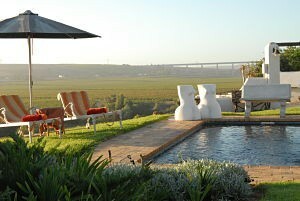 Relax at the pool overlooking the river and vineyards. Cruise up-river for birding or the seasonal wild flowers. Credit cards. Children welcome. 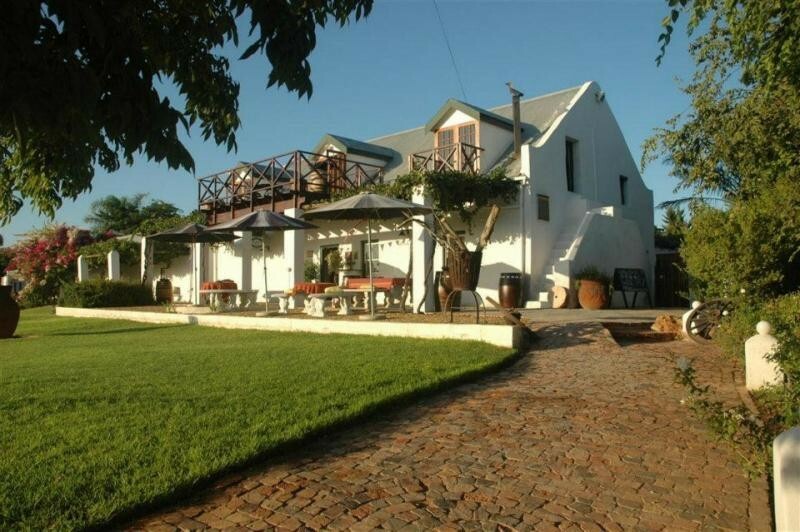 The Guesthouse is located on the fertile banks of the Olifants River, on the famous South African West Coast. This gem of South Africa's West Coast, has everything and more to offer the battle-weary businessman or adventurous tourist. 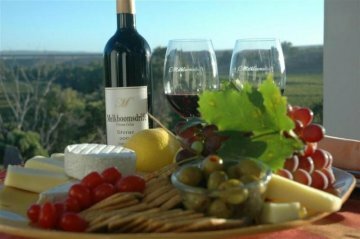 On your arrival at MELKBOOMSDRIFT, you will be received by the friendly personnel where you can make arrangmentments for a private wine tastings during your stay at MELKBOOMSDRIFT.